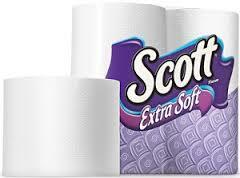 Get a free roll of Scott Extra Soft Tissue Paper. You have to sign up to get a free tissue paper. Great site. thank u so much. I would like to sign up and start receiving freebies. My classmate told me about this website. I am excited and ready to receive my free stuff.